Spring break is here. The warm weather is upon us, and the kids are out of school. As a working mom, it’s not always possible to be off work for the whole week with your children. Get creative and find solutions to your challenges. If you have a kid-friendly work environment, an option might be to bring your children to work with you — at least for a day or two. And if your spouse can do the same, you’ll have most days of the week taken care of. Take Our Daughters and Sons to Work Day isn’t until April 26, but you can celebrate early. 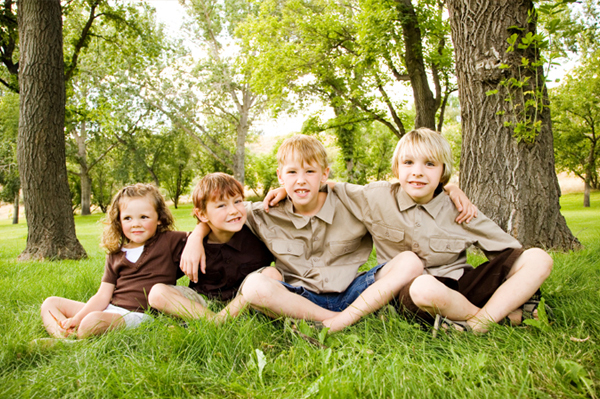 It doesn’t have to be summer to send your kids to camp. You can find a number of fun camps around your city. The YMCA, kiddie gyms, daycare programs and other facilities offer day camp during spring break. You can also find unique camps (both day and overnight camps) and educational opportunities at local attractions such as zoos, amusement parks and museums. Make a pact with four other trusted moms in your neighborhood who have kids in the same age range. Each mom will take care of the kids one day a week. Sure, you’ll have to take off work that one day and it will certainly be hectic, but the rest of the week your kid(s) will be taken care of by someone you know. Since it’s just for a week, you can probably find a good deal on a nanny or babysitter through a service like Care.com. If you don’t trust someone to be alone with your kids in your home, then ask your boss if you can work from home for the week. You can still clock your hours, but feel secure you are right in the house in case of an emergency. You probably have some sick or vacation time available. Let your boss know you need to take it. You don’t have to do anything extravagant with your kids to enjoy the time off. Plan a staycation exploring your own city or just hanging out at home doing crafts, playing games and enjoying the outdoors.